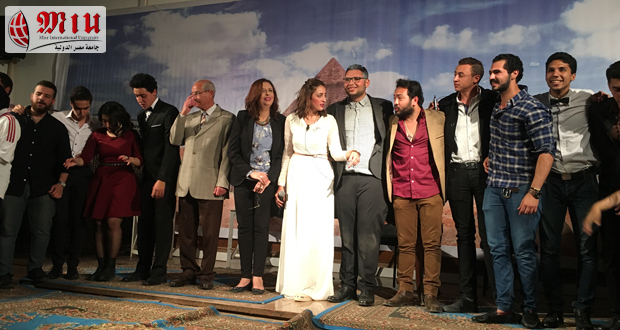 MIU Theatre and the affiliated Mass Media Club performed their first theatrical play “One equals Two” in the OOA hall on April 12. 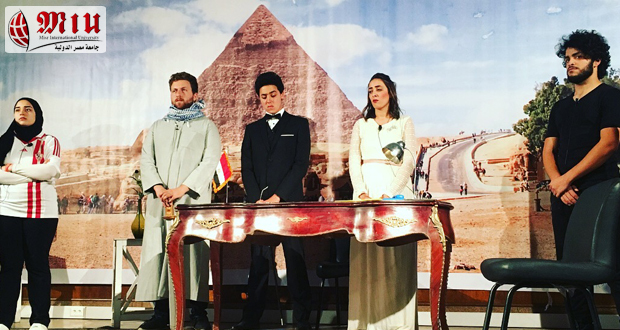 The play portrays the schizophrenic character of modern man and how it affects our lives in different ways. 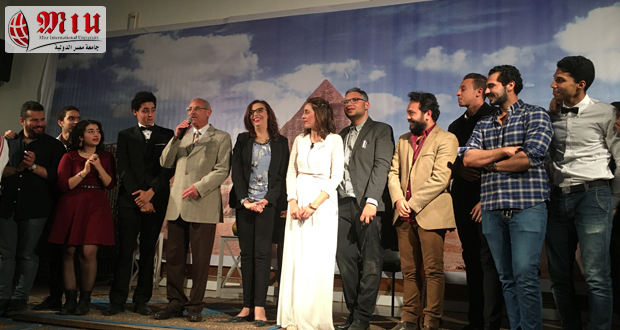 Twenty students from different faculties participated in the play under the supervision of MMC academic advisor Dr Nevine Abolawafi. It was directed by Tamer Karam. 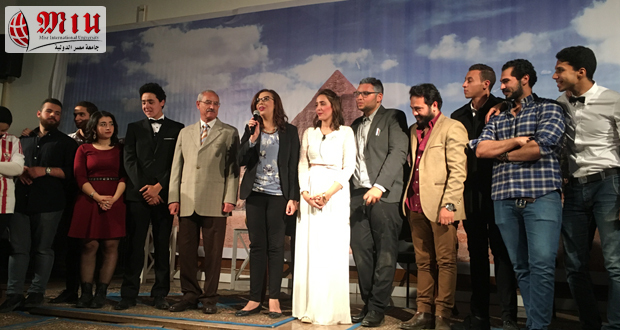 Professor Ahmed Emad, MIU Vice President for Students Affairs, attended the play along with guests, students and their parents. 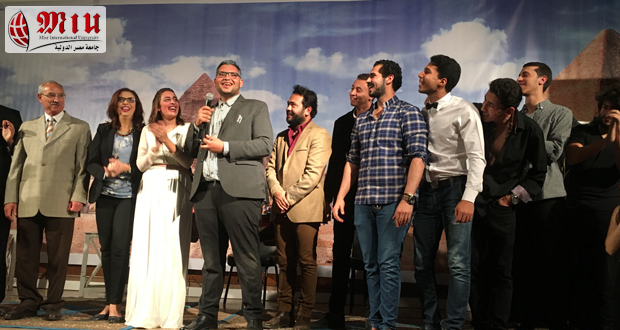 The establishment of MIU’s first theatre team is considered an important step on the path of participation in the Universities Theatres Annual Festival as well as domestic and international theatre competitions in the future.